A band from the Biggleswade area is about to start a UK tour to mark their second album. The Shires will be coming to The Corn Exchange in Bedford on Friday November 25. 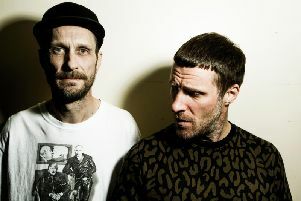 The new album entitled My Universe was reelased at the end of September which has been building on their reputation as one of the UK’s biggest country stars. Tracks such as lead single Beats to Your Rhythm an infectious summer smash, the foot stomping Not Even Drunk Right Now and the heartfelt ballad Daddy’s Little Girl are on the album. The band blend beautiful harmonies, which come naturally to Ben Earle and Crissie Rhodes as they share lead vocals. With the release of their debut album Brave in 2015, The Shires became the biggest-selling country act in the UK last year (including US artists), and one of the biggest-selling breakthrough UK acts of any genre along with James Bay, Years &Years and Jess Glynne. Ben and Crissie continued to build a huge following, in fans and critics alike, landing five A list singles at BBC Radio 2 and appearing on a string of high profile TV shows including Graham Norton, BBC Music Awards, Children in Need Rocks and many more. The band were then given their first headline slot at Glastonbury this summer, topping the bill on the Acoustic Stage on Saturday night. The Shires tour the UK this winter, culminating in a headline performance at 02 Shepherd’s Bush Empire in London. Tickets for the show cost £22.50 and the doors open at 7pm. For further information or to book tickets visit www.bedfordcornexchange.co.uk or call 01234 718044.